sample image R4 F4 F6, (1108cc) exhaust completely. Suitable for Renault R4 F4 + F6 (Camionette), of year of construction 1976 to 08/1983. Inclusive all clips + Rubber Silent bearings! sample image R4 F4 F6, (1108cc) exhaust completely. Suitable for Renault R4 F4 + F6, of year of construction 1983 to 1991. Inclusive all clips + Rubber Silent bearings! sample image R4 F6, (1108cc) exhaust completely. Suitable for Renault R4 F6, of year of construction 1965 to 08/1983. Inclusive all clips + Rubber Silent bearings! sample image R4 GTL, (1108cc) exhaust completely. 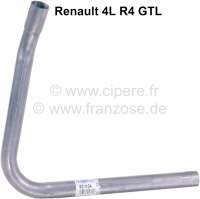 Suitable for Renault R4 GTL, of year of construction 1977 to 09/1979. Inclusive all clips + Rubber Silent bearings! sample image R4, (1108cc + 952cc) exhaust completely. Suitable for Renault R4, of year of construction 09/1983 to 1992. Inclusive all clips + Rubber Silent bearings. sample image R4, (1108cc + 952cc) exhaust completely. 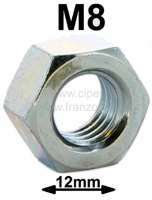 Suitable for Renault R4, of year of construction 10/1979 to 08/1983. Inclusive all clips + Rubber Silent bearings! sample image R4, (1108cc) exhaust completely. Suitable for Renault R4, of year of construction 08/1983 to 1992. Inclusive all clips + Rubber Silent bearings. sample image R4 (1108cc), exhaust tail pipe. Outlet before the left rear wheel. Suitable for Renault R4, to year of construction 07/1989. Connection: 32,0mm. sample image R4, (1108cc), exhaust tail pipe. Suitable for Renault R4 (R210B starting from CH 26211, R239B starting from CH 2951, R2370 starting from CH 376461, R1128-04 starting from 477401). Overall length: 1340mm. Connection diameter: 32,0mm. sample image R4, (1108cc), exhaust tail pipe. 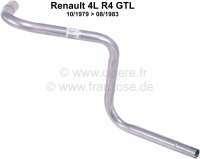 Suitable for Renault R4 GTL, of year of construction 1977 to 09/1979 (R1128 to CH 144819). Connection diameter: 32,0mm. sample image R4, (1108cc), exhaust tail pipe. 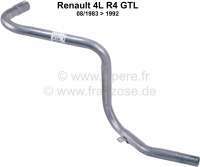 Suitable for Renault R4, of year of construction 1965 to 08/1983 (R210B, R329B, R2340, R2370). Connection diameter: 32,0mm. sample image R4 (1108ccm), exhaust elbow pipe (first pipe). Suitable for Renault 4 (R1128, S128, 112), starting from year of construction 10/1976 to production end. Connection: 40,0mm. sample image R4 (1108cc), exhaust silencer in front (under the fender). Suitable for Renault R4, of year of construction 10/1976 to production end. Connection: 40,5mm + 35,0mm. sample image R4, (1108cc), exhaust intermediate pipe (with fixture for a silent block). 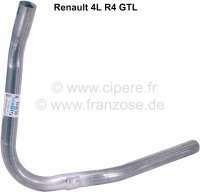 Suitable for Renault R4 GTL. Connection diameter: 35,5mm + 32,5mm. sample image R4, (1108cc), exhaust intermediate pipe (without fixture for a silent block). Suitable for Renault R4 GTL. Connection diameter: 35,5mm + 32,5mm. sample image R4, (1108cc), exhaust intermediate pipe (under the fender). Suitable for Renault R4 GTL, of year of construction 10/1979 to 08/1983 (vehicles with rear silencer). Connection diameter: 40,5 + 32,0mm. sample image R4, (1108ccm), exhaust intermediate pipe (second pipe, under the box sill). Suitable for Renault R4 GTL, of year of construction 10/1979 to 08/1983 (vehicles with rear silencer). Connection diameter: 31,5 + 31,5mm. sample image R4, (1108cc), exhaust intermediate pipe, front. Suitable for Renault R4 GTL, of year of construction 08/1983 to 1992 (with silencer rear). Connection: 40,5 + 32,0mm.